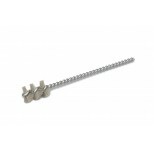 These micro-tube brushes are manufactured to diameters most popular to industry throughout the country for applications such as cross-hole de burring and honing of valve bodies and fittings for gas, air and hydraulic applications, honing and removal of tool marks in die work, de burring of all manner of drilled or cross-drilled, bored or reamed holes in delicate work requiring high quality internal surface finishing, honing and de burring. 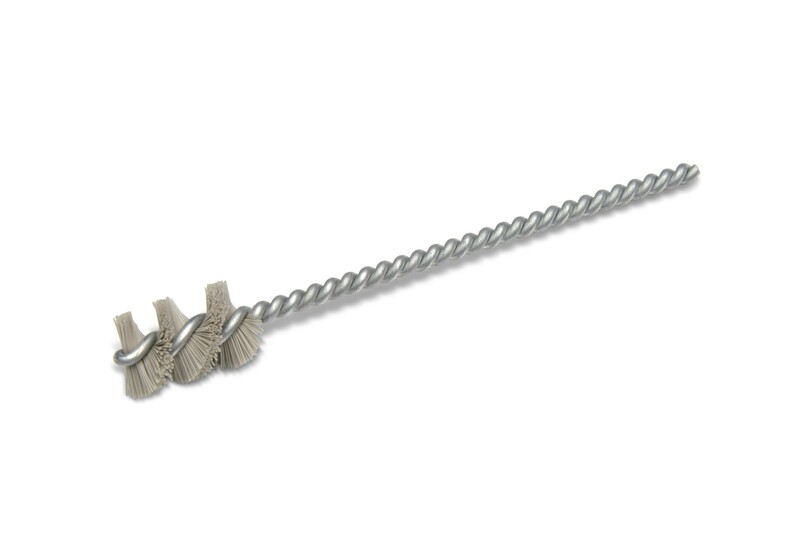 All type "G" brushes are filled with 600# grit aluminum oxide abrasive charged . 06469 .165 with a #18 Ga Stem Diameter 1" 5"
06470 0.190 with a #18 Ga Stem Diameter 1" 5"
06471 0.216 with a #16 Ga Stem Diameter 1" 5"
06472 0.260 with a #16 Ga Stem Diameter 1" 5"
06473 0.325 with a #16 Ga Stem Diameter 1" 5"
06474 0.385 with a #14 Ga Stem Diameter 1" 5"
06475 0.515 with a #13 Ga Stem Diameter 1" 5"
06476 0.640 with a #13 Ga Stem Diameter 1" 5"
06477 0.765 with a #11 Ga Stem Diameter 1" 5"
06478 0.890 with a #11 Ga Stem Diameter 1" 5"
06479 1.015 with a #10 Ga Stem Diameter 1" 5"